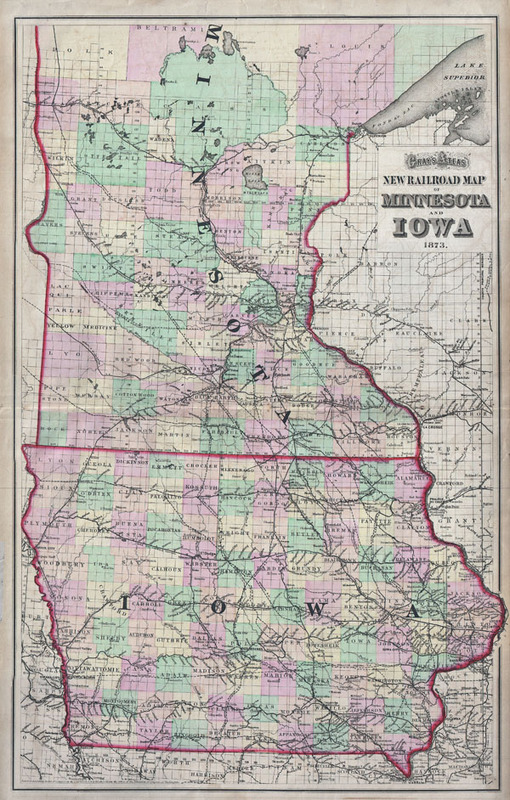 Gray's Atlas New Railroad Map of Minnesota and Iowa 1873. Very good condition. Original centerfold. Minor age toning.